Australia has the highest incidence of people with skin cancer in the world. This is due to a generally fairer population and increased (UV) sun exposure with the higher cloud cover and thinner ozone layer.Uncontrolled growth of altered skin cells results in skin cancer and is common in people with excessive (UV) sun exposure. Skin cancers untreated increase in depth and size and should be treated promptly whilst in a smaller state. Large skin cancer removal can lead to significant defects and require more complicated repair techniques. The skin is the largest body organ and is designed to protect, prevent dehydration and regulate the body temperature. The epidermis or outer surface consists of layers of squamous cells. Deeper are basal cells and amongst these are scattered melanocytes (melanin pigmented ) cells. Beneath the epidermis is the dermis which contains blood and lymph vessels, nerves, sebaceous glands and hair roots. Cosmetic Surgery Sydney will advise at consultation on the many varied ways the sun can damage the skin. 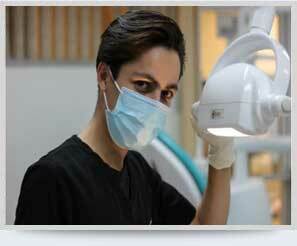 He will also discuss the many forms of plastic and cosmetic surgery available to treat sun damaged skin. This will enable you to make a fully informed decision to proceed to surgery with safety and confidence. Skin cancers are classified and named after the skin cells from which they derive, ie basal cell (BCC), squamous cell (SCC) and melanoma. Basal Cell Carcinoma (BCC) is the most common and least dangerous skin cancer and accounts for 75% of all diagnosed skin cancer. Lesions grow slowly and rarely spread, however, if left untreated results in an unhealing sore which in time impinges on surrounding tissue, blood vessels causing bleeding and nerves causing pain. Squamous Cell Cancer (SCC) is a faster growing form of skin cancer developing in the squamous cells of the skin, especially in exposed areas of the body, face, neck and arms If left untreated surrounding tissue is destroyed and it can spread to other areas. 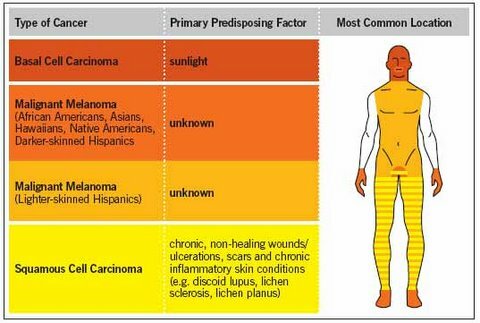 2 in 10 skin cancers diagnosed are SCC. 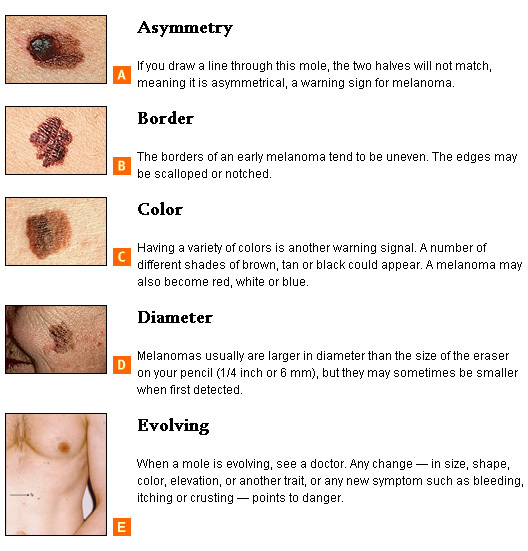 Melanoma – a malignant form of skin cancer developing in the melanocytes and if diagnosed early is easily treated successfully. About 50% develop in moles and any change in a mole should be investigated and treated.